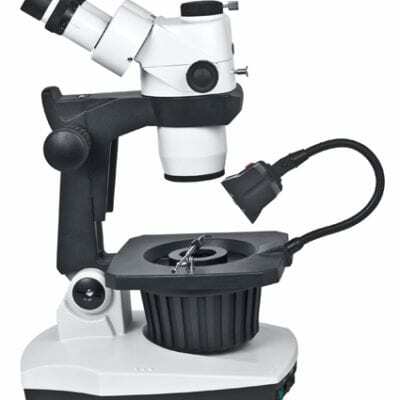 Motic GM Series zoom microscope is specially designed for preparation and inspection work in Gemology. Used for surface finish inspection of gems, identification of imperfections and evaluation of purity. 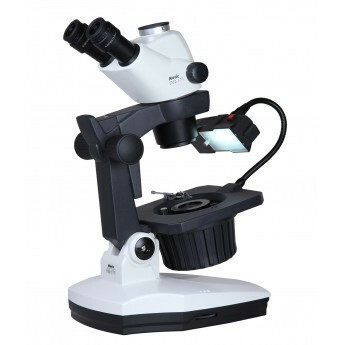 A zoom ratio of 6.7:1 and a magnification range of 7.5X to 50X, the GM Series allows you to switch from a sample overview down to viewing microscopic gem stone detail. 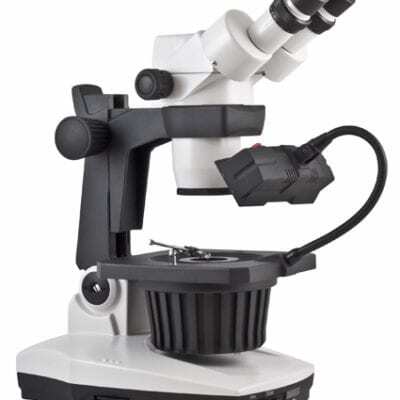 Each GM Series zoom microscope is equipped with bright field and dark field transmitted illumination. Dark field illumination is ideal for the observation of inclusions inside of gems, while the incident Fluorescent illuminator can be used for the examination of the clarity, colour and finishing. The incident illuminator is mounted on a flexible gooseneck in order to adjust and reposition the angle of illumination. 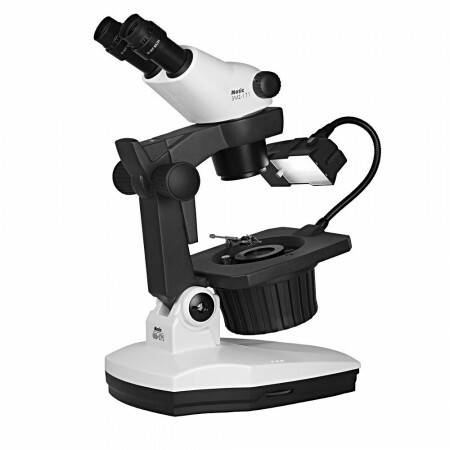 A comfortable viewing position is obtained by tilting the optical body, a range of 0°- 45° is available, the entire unit is rotatable 360° to easily share the microscope view. A digital camera may be mounted on top a the Trinocular version. 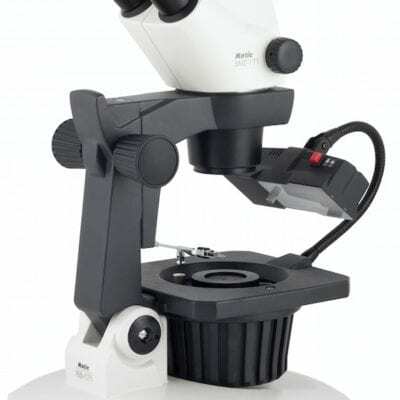 For available Moticam cameras please visit our Digital Microscopy section.